2018 manufactured 2 bedroom 1 bath cottage, 16X72 feet. Originally purchased for $72,115 from Recreational Resort Cottages in Rockwall, TX. It has never been occupied. Buyer must move the cottage. Older article: Congratulations To the Lady Billies for being Brookland Tournament Champions!!!!!!!! 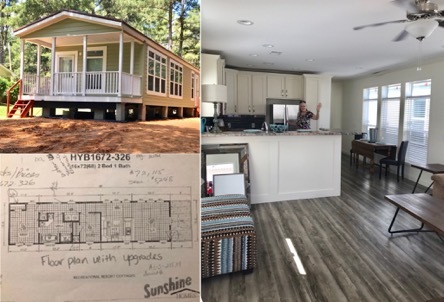 This entry was posted on Monday, March 18th, 2019 at 12:05 am	and is filed under Ashley County. You can follow any responses to this entry through the RSS 2.0 feed. You can leave a response, or trackback from your own site.